El Mercado did not get its name randomly. 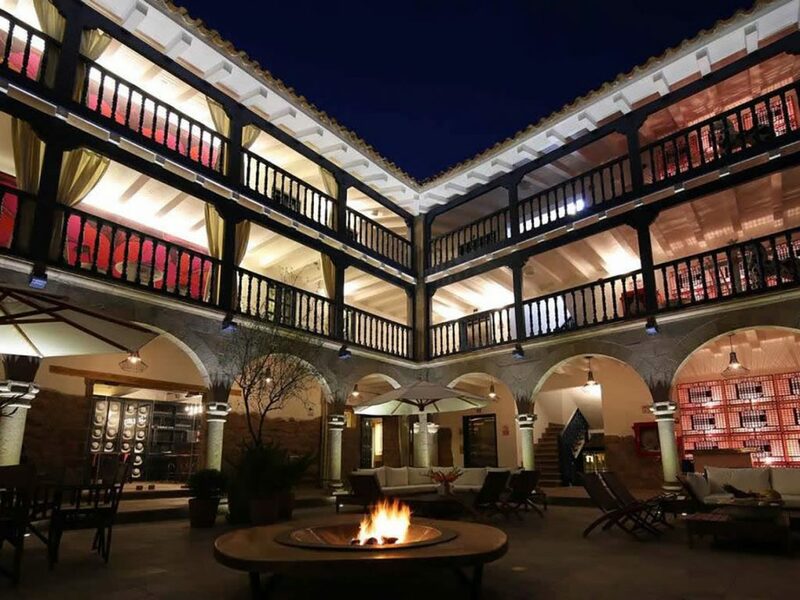 Mercado means market in Spanish, and the hotel was built in an old building where a local market used to be – its authentic decoration transmits the spirit of the previous mercado, combining culture and tradition in one same place. 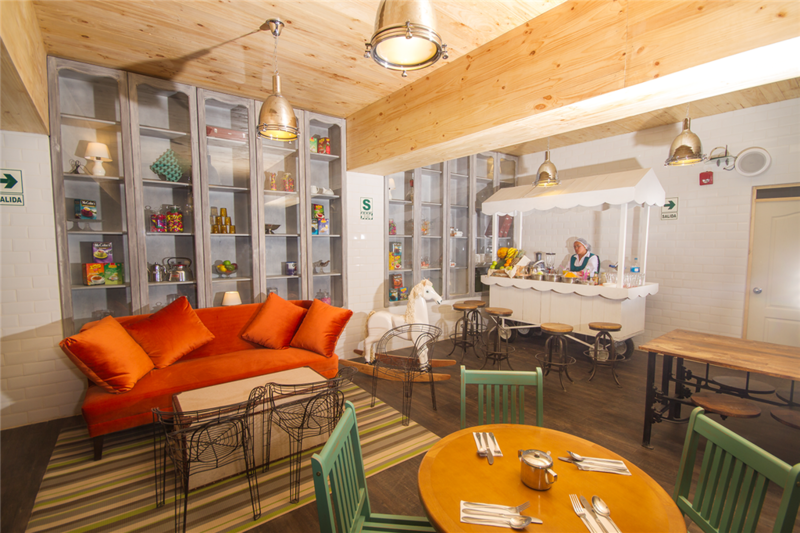 The hotel’s interiors are painted in vibrant colors and create a very cozy atmosphere. 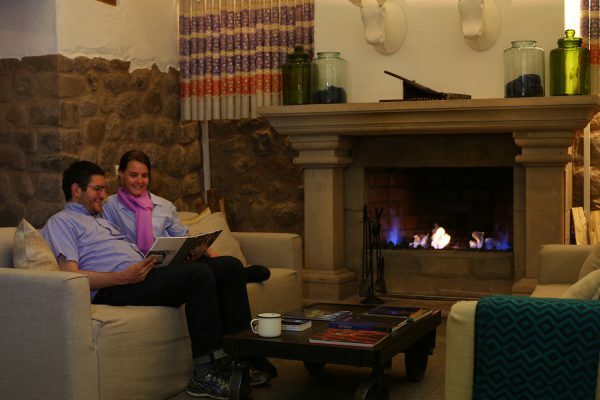 The tradition and experience of Mountain Lodges of Peru in hospitality and quality of services is evident, from the moment you arrive to the moment of check-out. 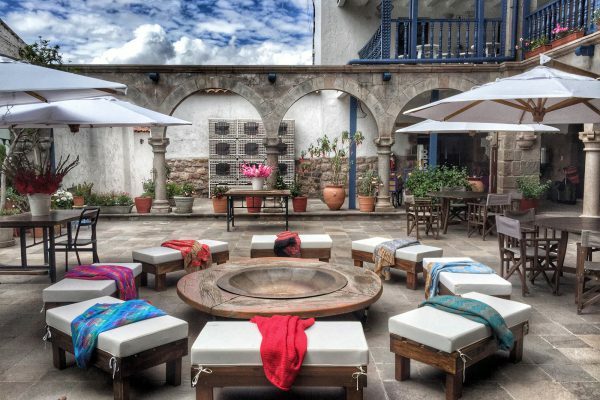 El Mercado’s location, next to Plaza de Armas square, is ideal for visiting the historical attractions of the Inca’s Empire ancient capital: there are over 5 museums, local markets, the traditional textile centers of Cusco, churches of impressive architecture design, the major archaeological sites of Peru, and more. 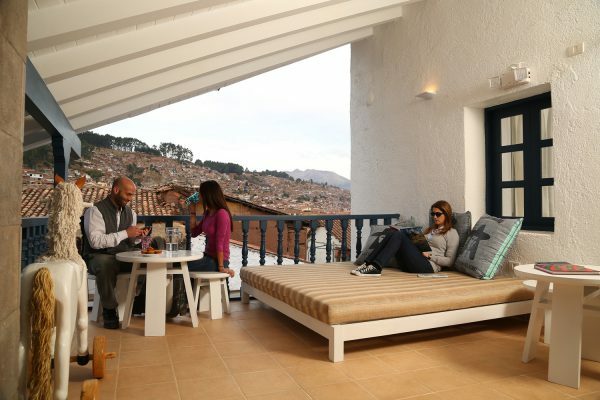 SUL Hotels tip: Mountain Lodges of Peru offers two trekking options, both of which start in Cusco and finish in Machu Picchu: The Salkantay Trek and The Sacred Valley & Lares Adventure. 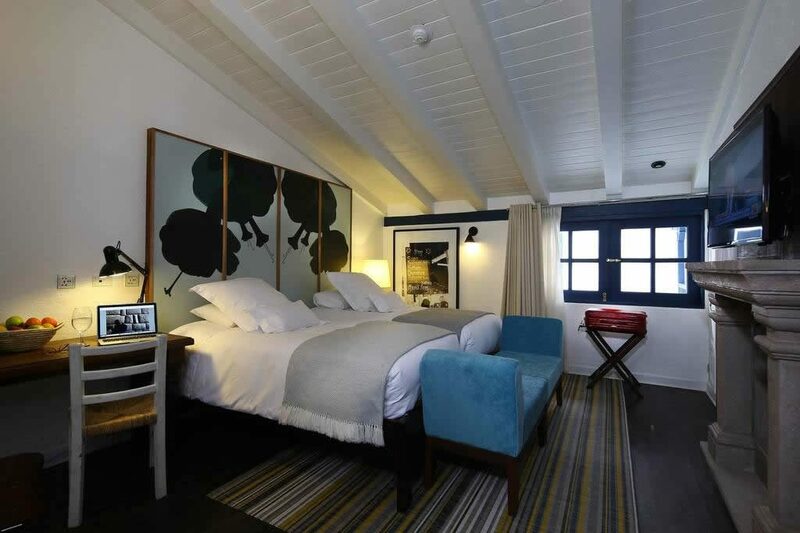 There are 32 charming and comfortable accommodations options, divided into 3 categories. This is the entry-level rom, with 22m², and nevertheless does not fail to offer an excellent stay. Includes as amenities heating, mini bar, coffee machine, hair blower, safe box and bath products. The Jr. Suite is larger, with 30m² and, besides the conveniences of the Standart Room, features a fireplace for you to warm up around, as well as an inviting hot tub. 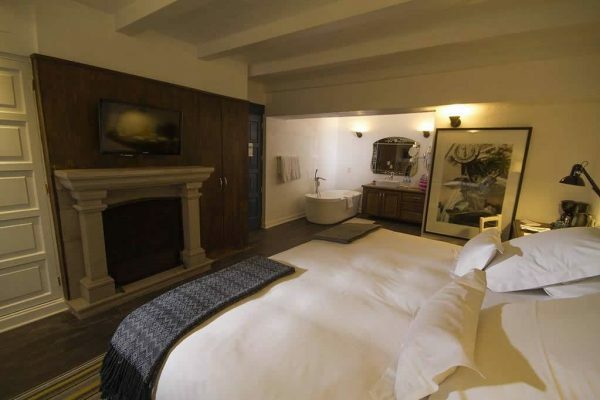 Suites are the top category, more than double the size of a Standard room: 53sqm of pure comfort. In addition to the fireplace and hot tub, already present in the Junior Suite, the Suite has an extra room and a TV room making it the perfect choice for families. 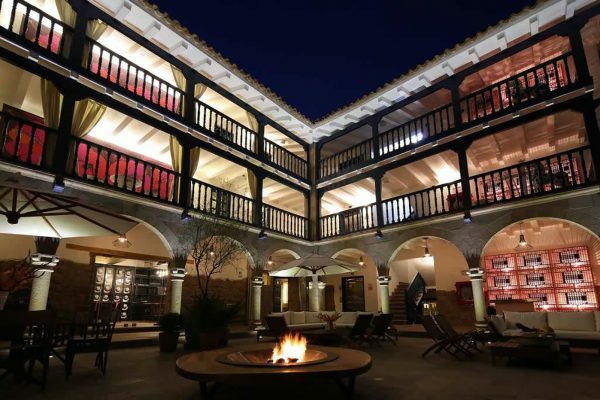 Built on top of an old market’s foundation, El Mercado hotel has an innovative design, signed by renowned Peruvian decorator Jordy Puig, keeping the traditional and modern styles in keen. 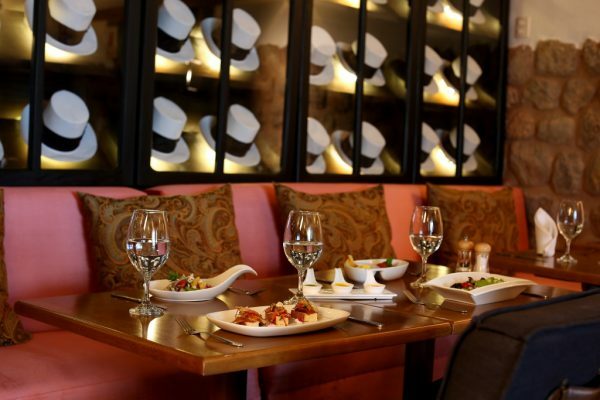 The main goal of keeping the market atmosphere is to bring the city’s authenticity, its culture and traditions, into the hotel and convey them in a unique experience for the guests. And speaking of markets, let’s talk about its products: all fresh and homemade. 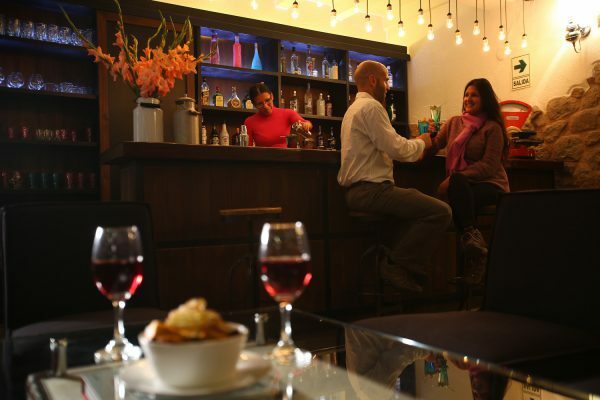 This is a big plus at El Mercado: in the restaurant, you will get to try a variety of delicious food, all with ingredients produced in the Sacred Valley fields. 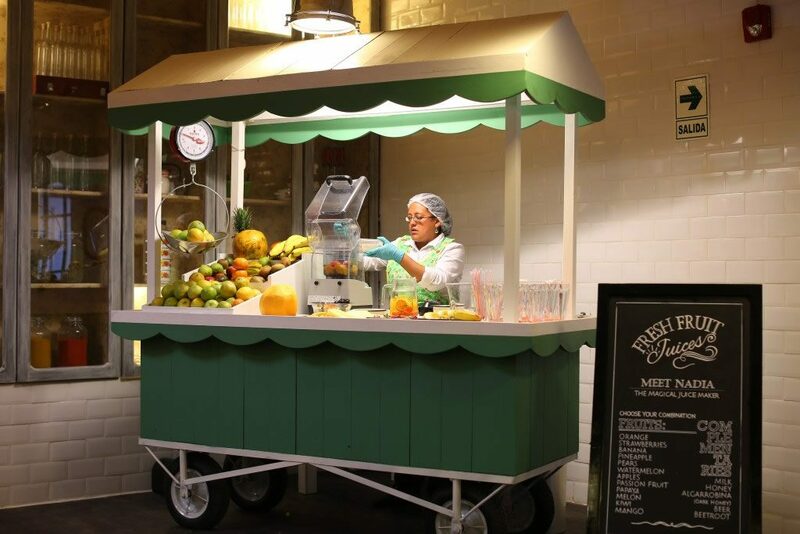 A little booth has fresh fruits for you to choose your preferred juice for the breakfast. 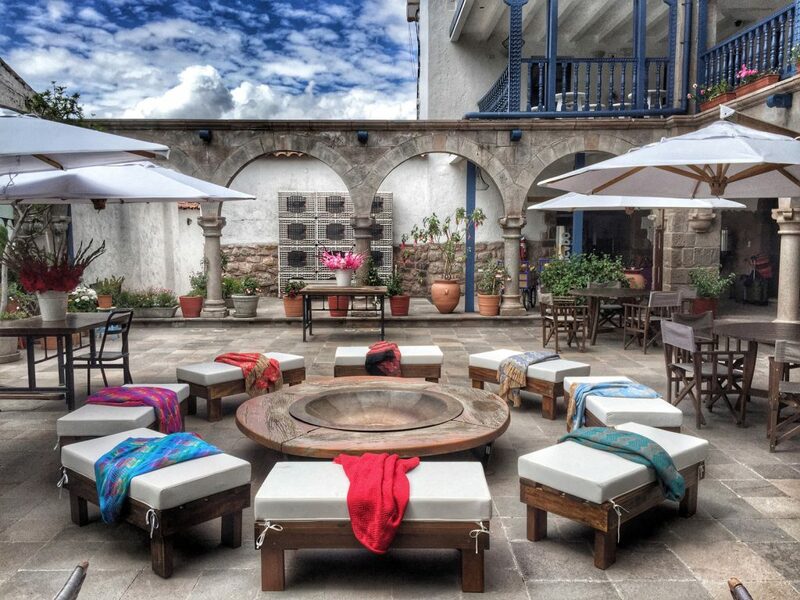 After the cultural tours in Cusco, enjoy the sunset with the happy hour in the hotel’s courtyard. 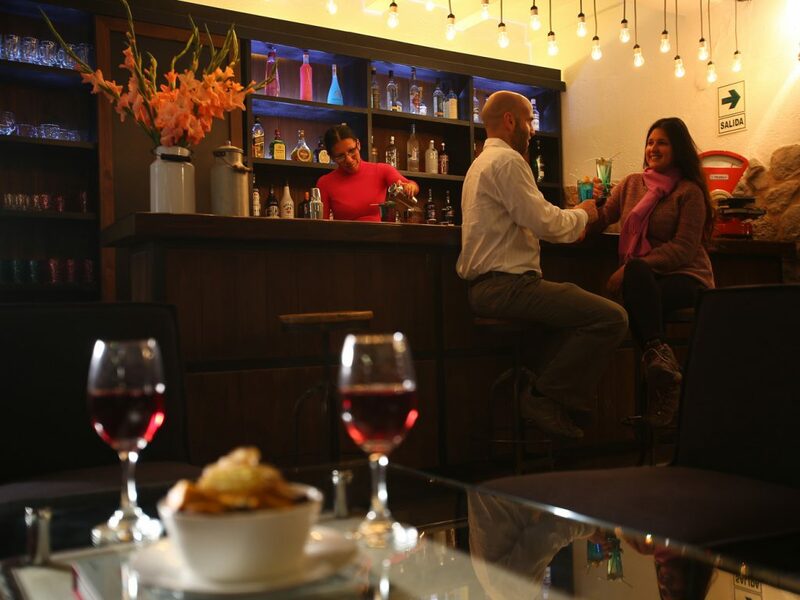 Fireplace and live music creates a cozy atmosphere, while you can prove appetizers and special drinks, which is available in La Taberna bar. 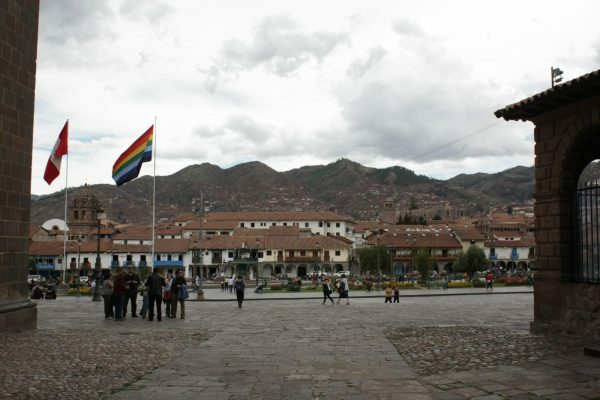 Cusco is located on the Southeastern side of Peru and it has been fairly declared as the historical capital of the country. 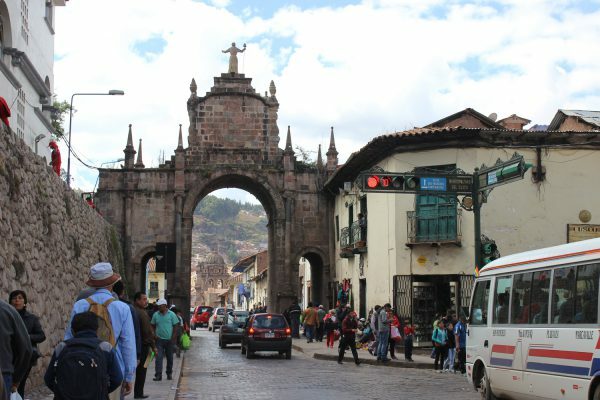 It was formerly the capital of the Inca Empire and one of the most important cities in the Viceroyalty of Peru, an extension of the Spanish territory in South America back in the 16th century. 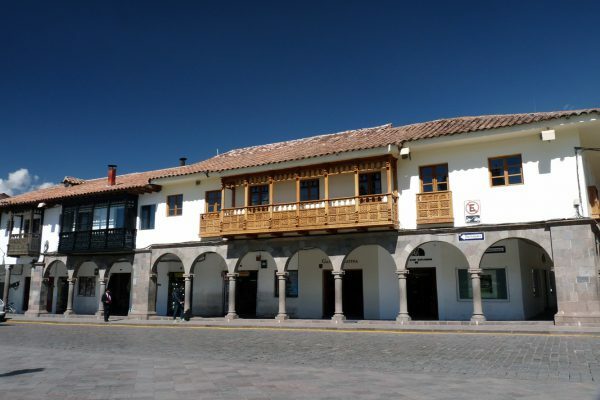 The city impressively combines Inca constructions with Spanish-influenced buildings. This is very apparent at Santo Domingo church, built atop Qoricancha, the former Sun Temple that impresses everyone with its magnitude. 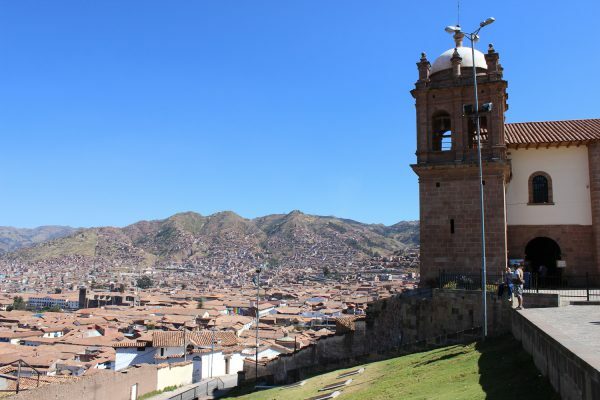 Cusco has other colonial architecture jewels such as Plaza de Armas, both the Cathedral and Company temples, Company & Jesus’ Church and and San Blas Church. An example of site that has remained completely untouched by time was the Archaeological Complex of Sacsayhuaman. Enigmatic, it was built in a mysterious way, still unknown to mankind, with giant stones. Enjoy the privileged location next to Plaza de Armas square to visit all the attractions of Cusco – and there are many of them! 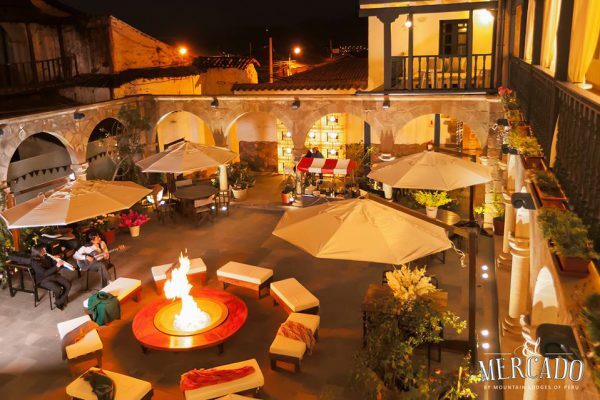 You can go back in time visiting the Inca and Pre-Columbian Art, museums, see local crafts in the traditional textile centers, shop in San Pedro’s market (the most traditional in Cusco), refresh your mind and soul at Templo do Sol (Sun Temple) and more. A must-do is trying the traditional and refined local cuisine of Cusco, all the fame will be justified. 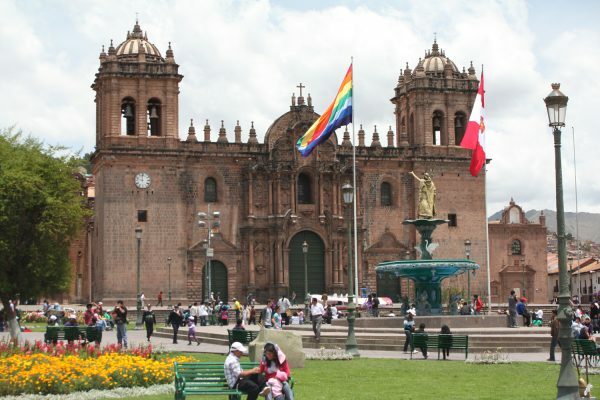 There are several daily flights departing from Lima to Cusco, taking only 1 hour. 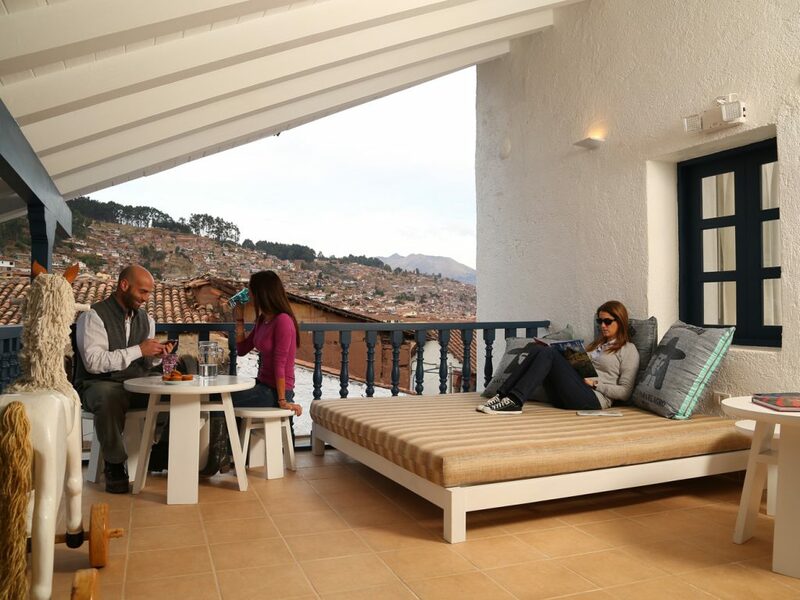 From Cusco’s airport, it’s a 20min drive to the hotel. Arriving in Cusco means being close to one of the most important touristic destinations in the world: the sacred Machu Picchu. 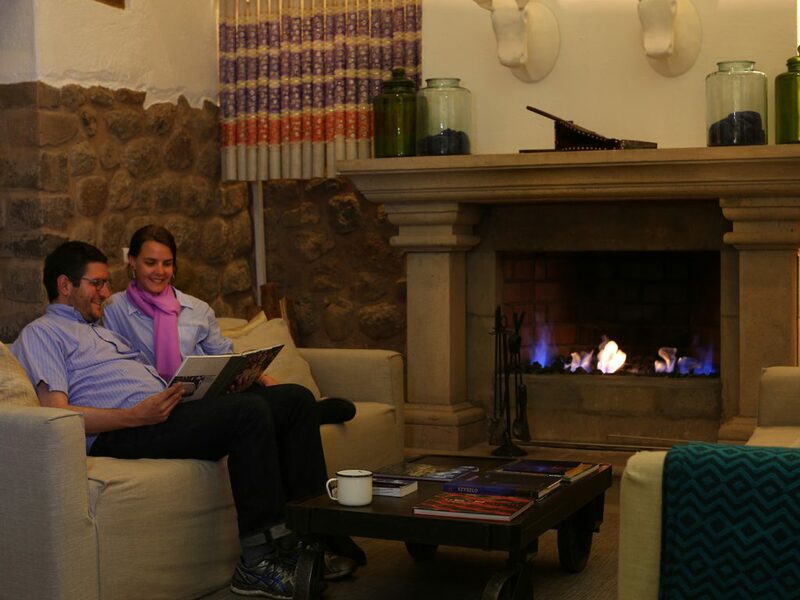 It is really worth it to go there in a tour, which takes a 4-hour train ride, when you can enjoy the beautiful Sacred Valley scenery, until arrive at the Inca’s sanctuary.